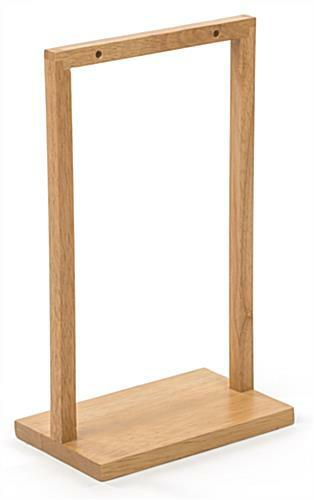 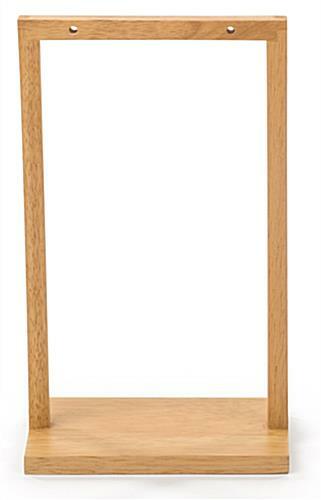 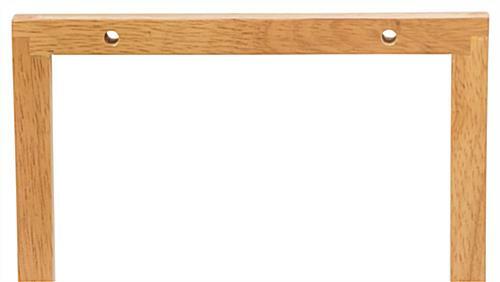 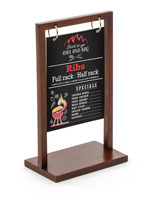 This 5” x 7” wooden double post menu holder with maple finish serves as an ideal flip stand for displaying meal specials on a restaurant table. 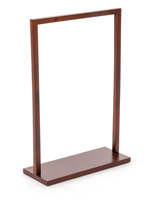 The elegant design is sure to complement existing décor and is perfect for placement on a counter at a boutique shop. 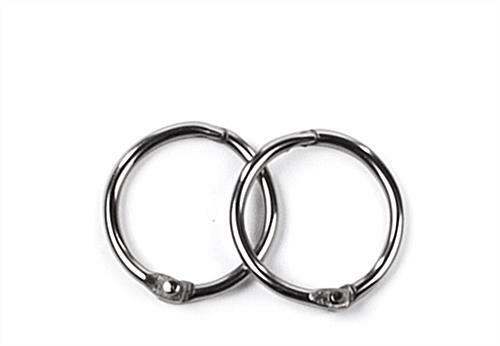 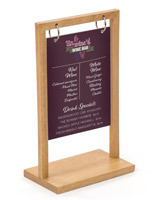 Two rings are included with the double post menu holderthat allow you to hang signage from the flip stand. 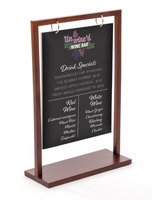 Pair the frame with a 5” x 7” sign (sold separately) to share breakfast, lunch and dinner specials at your restaurant or to announce news of an upcoming sale at your retail store. 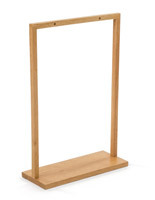 This table or counter display is lightweight and portable. 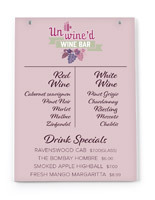 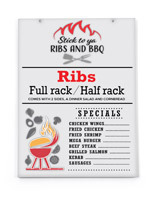 Use the durable menu holder to hold your signage and to share your brand messages with your patrons.